If you’re looking to buy MMA belts for your gym which you’re going to give out to students who are progressing through your ranks, you’ll come across many different belts from different brands. Most of them will have different prices, and it might be a bit confusing as to what the difference between all of them is. As you probably already know from previous experience, belts can be made of different materials, have different thickness and knot abilities, as well as different durability levels and structures. Some mixed martial arts belts are pretty thick and initially stiff, but they soften up over time, while others are thin and soft, yet very firm. Thinner belts are easier to knot, but they usually wear out faster. 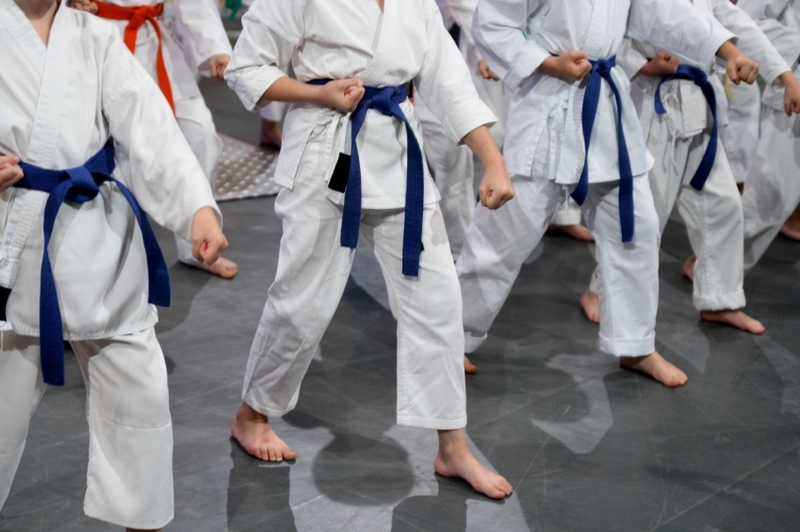 The thickness and stiffness of mixed martial arts belts are impacted by the type of material they’re made of. Typically, MMA belts are made of cotton as it’s a natural fiber that’s breathable. However, there are belts that are blended with polyester, which offers extra durability and less shrinkage when the belt is being washed and dried. Higher-quality belts are, of course, more expensive, but you’ll be wearing them for many years to come. That being said, if you’re looking at higher-ranked belts, you should definitely consider buying quality ones. If you’re looking at lower-ranked belts, like white and yellow, then you don’t necessarily have to go for top-notch quality models, as the students will be advancing in a year or two, and they won’t need them for that long. However, if you have the budget to invest in quality MMA gear, then by all means – do so, it will be worth it. Besides quality, when buying MMA belts, you should consider the size. If the particular sport you’re teaching or participating in allows for the belt to reach all the way down to your knees, then size won’t matter much. However, sports like BJJ don’t allow that – the belt shouldn’t stick out more than around 20cm on each side of the knot. The black part of the belt, which is for your ranking stripes, shouldn’t be inside the knot. Speaking of knots, you should always tie the belt in a reef or a flat knot so that one side doesn’t stick up. Lastly, when buying a new MMA belt, wash it a couple of times in a washing machine, knead it and roll it if you want it to become softer. Once it gets softer, you won’t have to wash it that much anymore, except when it gets smelly or dirty.